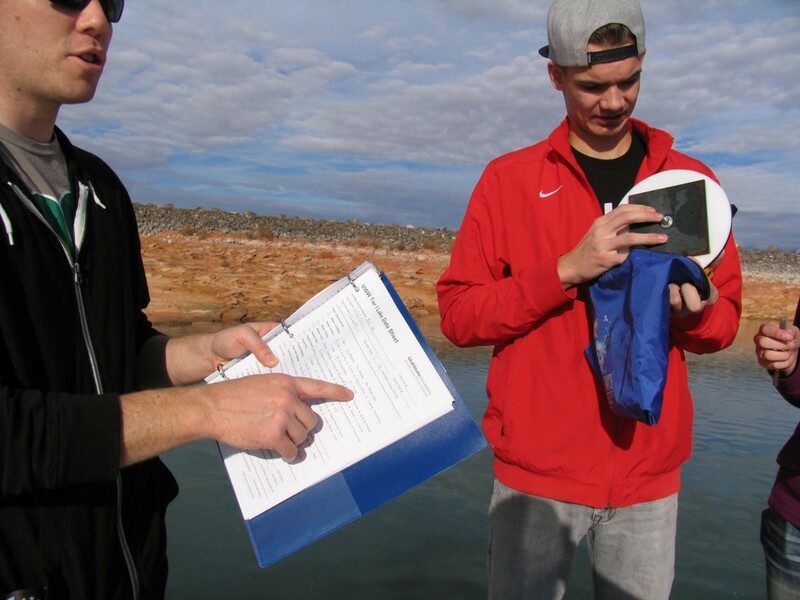 HURRICANE – On a sunny December morning, members of the Washington County 4-H Oasis Club gathered on the dock at the Sand Hollow State Park boat ramp to investigate and report on the health of the water. The group of Hurricane High School students meets once a month to monitor water quality, as part of their 4-H group that focuses on citizen science, said Utah State University’s Washington Extension Youth Programs Leader Paul Hill. They are part of the Utah Water Watch, a volunteer program that engages the public in helping to monitor water quality and report the information back to watershed managers at the Utah Division of Water Quality. With Hill that day were two of the five members of the 4-H Oasis Club: Hurricane High School junior Cameron Wolsleger, club president; and Hurricane High School sophomore Kayla Stewart, club vice president. Taking a tiny test tube and filling it with lake water, Wolsleger added a drop or two of a solution, shook the tube and watched it turn a bright blue color. While he compared the results to a tray of similar tubes of various shades of blue, Hill said, Wolsleger was measuring the amount of dissolved oxygen in the water. The oxygen concentration of healthy lakes and streams in Utah should fall between six and 12 oxygen molecules per 1 million water molecules, Hill said. If the oxygen content drops too low, it will start to kill fish and other aquatic species. 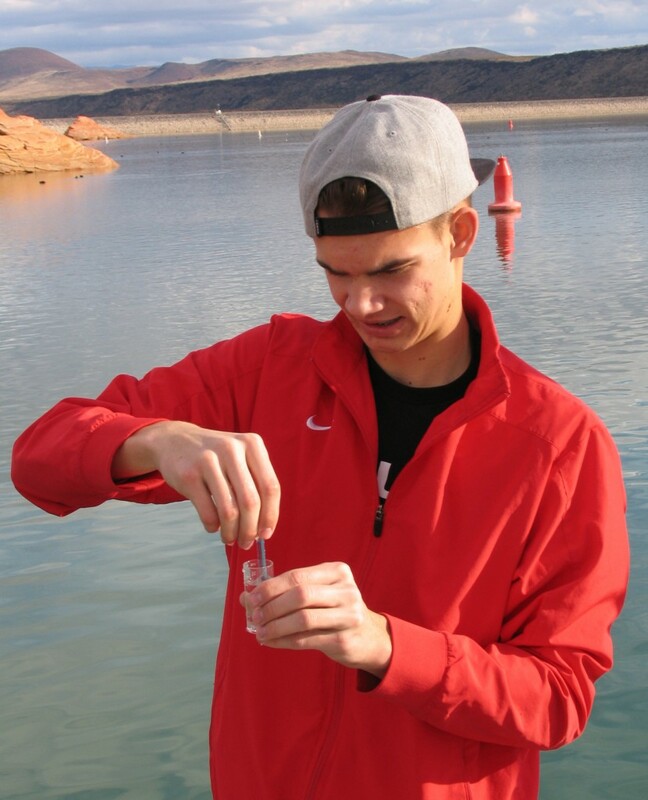 While Hill and the students couldn’t agree on whether their sample indicated an oxygen content of nine or 10, they both agreed that the oxygen in Sand Hollow Reservoir was within the target range. As part of the monitoring process, the group members also make field observations about water surface, clarity, color, odor, algae cover, and the presence or absence of dead fish, Hill said. In addition, they chart current weather, past weather, and recent rainfall totals. 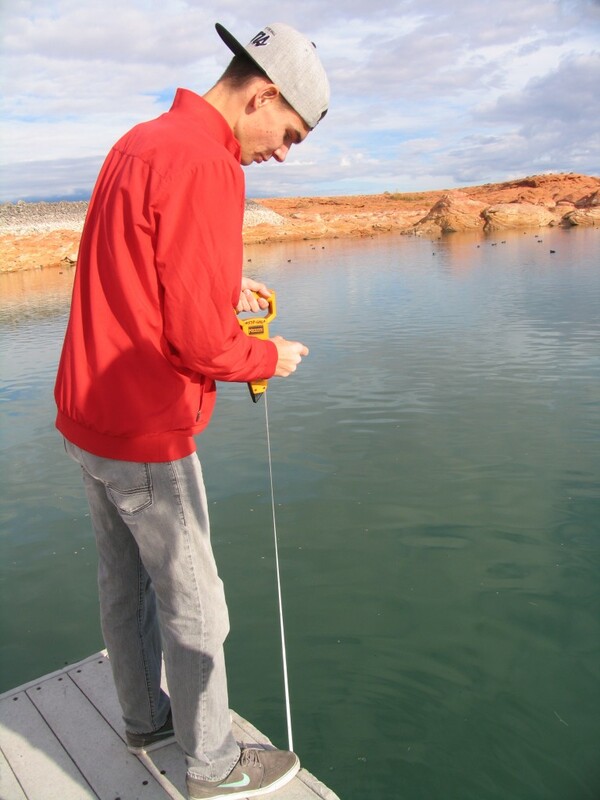 Information collected by club members is entered into a statewide database run by Utah Water Watch, a Utah State University Water Quality Extension program that provides volunteers with the equipment and training needed to monitor any body of water in the state of Utah, Hill said. Because the state has limited resources, it is impossible for them to monitor all of Utah’s lakes and streams, Water Watch Program Coordinator Brian Greene said. The information collected by volunteers allows watershed managers to easily access data that will help them make better decisions about where to allocate resources, he said. With volunteers helping to keep track of water quality by visiting places they would enjoy visiting anyway, it helps water quality experts know where their attention needs to be focused, Greene said. 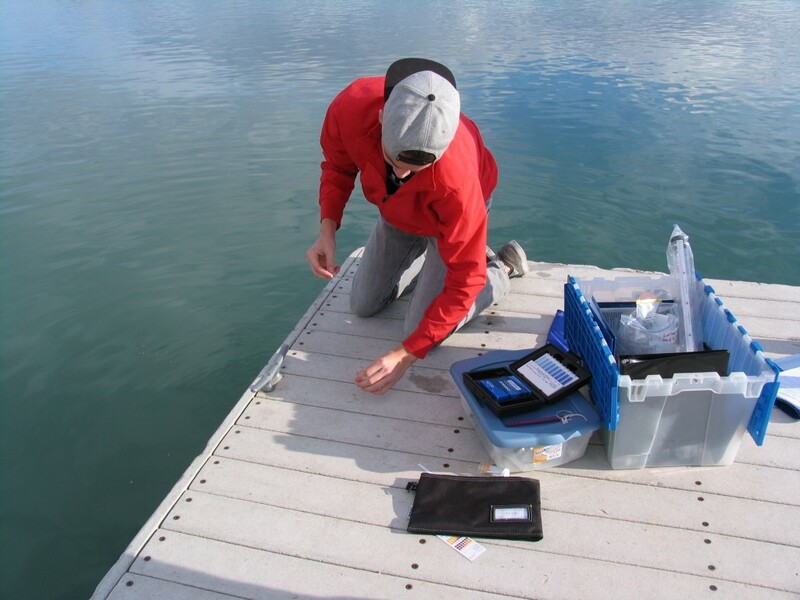 Currently there are only 120 volunteers statewide tracking water quality for Utah Water Watch. Anyone who thinks they might be interested in helping can contact Greene to find out more. Contact information is listed below. Though they are only required to go seven months out of the year, Hill said, his group goes to Sand Hollow every month of the year to check on the water. With access to the database, he said, the 4-H Oasis Club members can track the work that they do over a long period of time so they can see the changes and fluctuations no matter how subtle. Wolsleger said he learned a lot about pH and oxygen in the water. Before taking part in this project, he said, he had no idea how important these things were to healthy water, but now he looks forward to coming out every month, because it is so much fun for him. Hill said that he and Wolsleger decided to monitor water at Sand Hollow as their citizen science project, because it was so close to home. 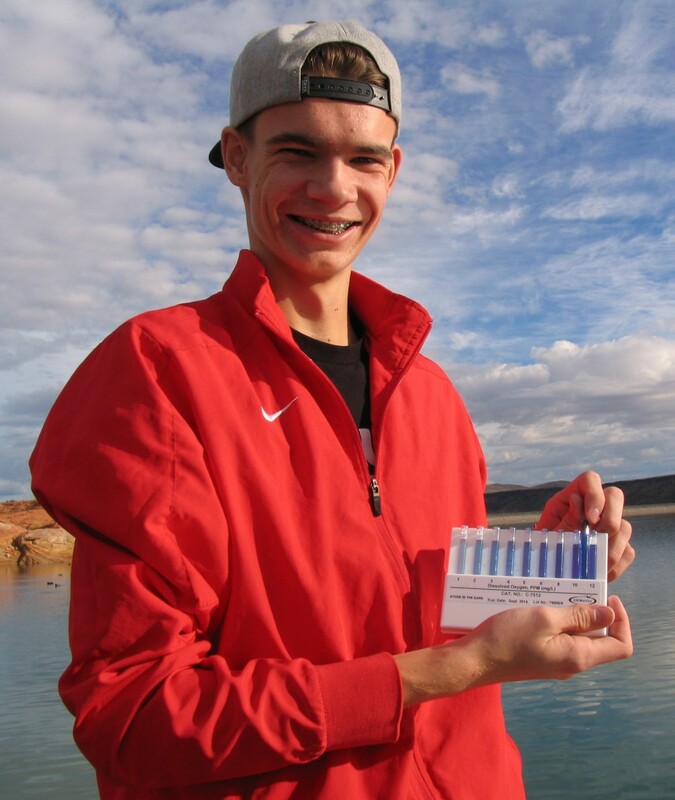 He hopes the data collected will make a significant impact on the state’s understanding of the water at Sand Hollow. Wolsleger and Stewart both said they feel a sense of ownership of the project, because they are being stewards to land that they use for recreation. Stewart said that her family spends a lot of time on the beach with the younger children, and the older kids go out on the lake and ride in boats. However, since she has been helping with 4-H monitoring project, she has gained a whole new appreciation for the playground in her back yard.